Climate Change? How Very Queer! 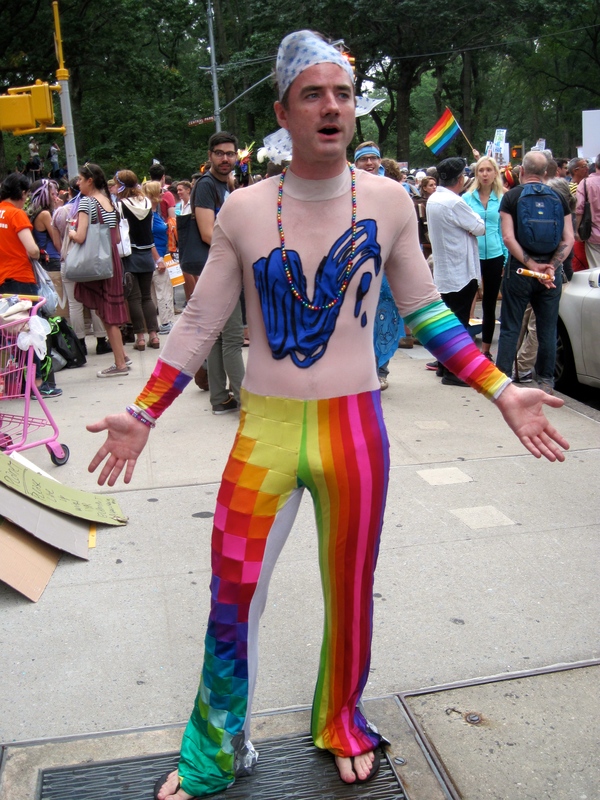 A homage to Robin Williams by a sociology professor who marched beside me and other Queers for the Climate at the People Climate March in 2014. Since 2014 I have obsessed, mused, marveled, and expounded on queer responses to climate change. I am please to say that my growing interest in the topic have not abated. Next month I will co-present a workshop, Everything is Connected–Trans Lives and Climate Change, with Liam Hooper, a trans man and fellow Bible geek. If you are in the Philadelphia area on September 7, and you want to take part in the workshop, check the details here. 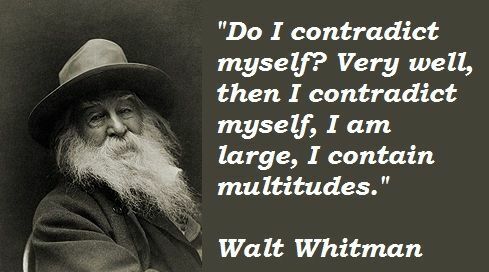 In looking models in history, I have returned time and time again to Walt Whitman. The groundbreaking American poet was a gay man who wrote about bodies, identity, and nature. I would not call him an environmentalist. He was a lover of beauty and he writes of a deep connection to other humans–friends, lovers, and strangers, as well as to the natural world. of all perfection and beauty. Next month at Bucknell University in Lewisburg, PA, I will present my performance lecture, A Queer Response to Climate Change–What Would Walt Whitman Do? I will also present this same piece at SUNY Cortland in mid-November for the New York Coalition for Sustainability in Higher Education Conference. I am always curious to hear what other people think of this topic: Queer Response to Climate Change. Please feel free to leave comments with your ideas.